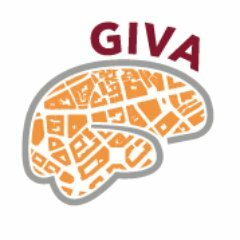 The Navigation Journal Club is an open weekly meeting of the Geographic Information Visualization and Analysis (GIVA) group at the University of Zurich. Interested researchers and students from other departments/universities are welcome to join. Each week, we will discuss a reading related to navigation as a group. The first four weeks will focus on classic readings in navigation research (see below). Afterwards, we will move on to more recent readings on the topics of navigation in neuroscience, navigation from a cognitive science perspective, computational modeling of navigation, and real-world navigation studies. Place: Digital Society Initiative, RAF building, Rämistrasse 66, Room 001. For more information, please contact bingjie.cheng@geo.uzh.ch or tyler.thrash@geo.uzh.ch. More articles and dates will be announced soon. Articles will be sent via e-mail and available on our Mendeley group. Please send us your e-mail address to be included in the (private) Mendeley group.